SOLD The Isle of California, New Mexico, Louisiane, The River Misisipi and the Lakes of Canada. Size: sheet: 8 1/4" x 12 1/2"
Size: image:7 1/4" x 6 3/8"
Printed in London, 1709. From Herman Moll's "A System of Geography", third edition. 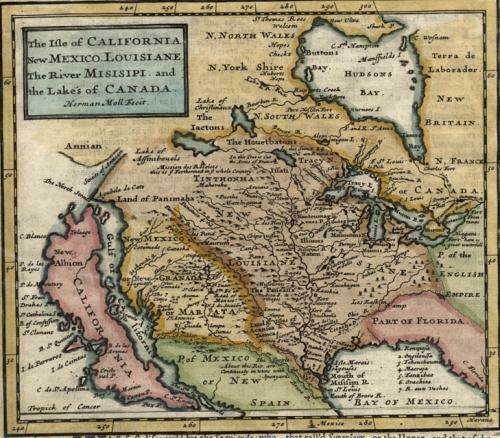 A scarce and remarkable map of California that is set in a page of text.